A new best practice manual developed in collaboration with Plant & Food Research, Vegetable Research & Innovation (VR&I) Board and the Fertiliser Association of New Zealand (FANZ) will help commercial vegetable growers and consultants make well-informed nutrient management decisions both financially and environmentally. Crops covered in the guidelines include beans, beetroot, brassicas, carrots, lettuce, onions, peas, potatoes, spinach, squash, sweet corn and process tomatoes. This book builds on the last comprehensive summary, “Nutrient Requirements of Horticultural Crops”, released in 1986 by Clarke et al. The new guidelines have been developed to help growers get the best out of their crops and money spent on nutrients, while addressing growing concerns about the environmental impacts of intensive production practices. The book, along with a companion volume that offers more detail and references, provides a scientific basis for good management of nutrients. The new guidelines were written collaboratively by Plant & Food Research Principal Scientist Dr Jeff Reid and Jeff Morton, from MortonAg, with support from a working group consisting of Plant & Food Research scientists and experts from the major fertiliser companies and industry groups. Major funders include the VR&I Board and FANZ. The project was also supported by the Plant & Food Research Strategic Science Investment Fund. 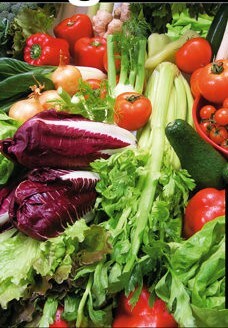 A series of follow-up extension events are being planned for the regions where vegetable production is a major land use.